If you spend any time on the water you might say your glasses are one of the most important pieces of gear you can have. When it comes to quality glasses for water sports and fishing, one brand that comes to mind is Costa Del Mar. The quality, versatility, and durability of their frames and lenses are second to none. 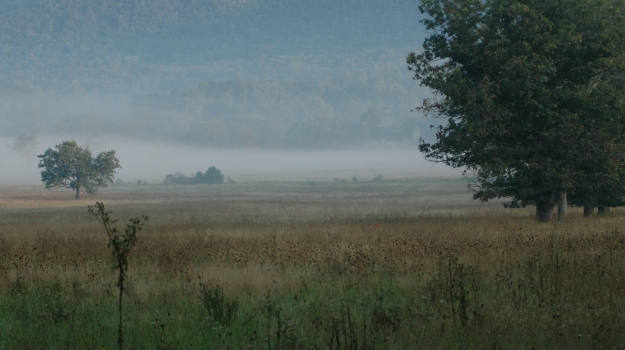 What many people may not think about is the value of Costa Del Mar sunglasses for hunting. Costa has recently partnered with Mossy Oak to develop a line of frames in the Mossy Oak Shadow Grass Blades pattern. I was recently on a bowhunt in Arizona chasing mule deer and was wearing the Costa Fantail frames with the Sunrise 580 lens. This turned out to be a deadly combination in helping me see deer during all times of the day. The Fantail Frames fit me perfectly to the point I forgot they were on my face. It did not matter if I was scanning ridges or running from one mountain ridge to the next to get on a big mule deer. That is how comfortable they are. I really like the attention to detail on how these frames are constructed so they fit comfortably on your face but do not hurt your face over time. The combination of the Fantail Frames with the Sunrise 580 lenses were perfect for this type of hunting, especially during the sunrise and sunset hours. These lenses were outstanding at helping me see deer and tips of antlers during morning and afternoon hours that I would not have seen without them. The sunrise lenses were designed specifically for these times of day. I wore them all day and they were effective at blocking the sun even during midday. With that said, they are not designed to block the suns rays like some of Costa’s other lenses. The Sunrise lens was specifically designed and developed for the sunrise and sunset hours. Come spring turkey season you will see me with these Costa Fantail Frames in Shadow Grass Blades and Sunrise Lens. I think they are going to be very helpful in seeing those gobblers’ red heads cruising through the woods as they are gobbling their heads off during those sunrise hours. I like to wear my glasses on my hat when they are not on my face. These Fantails are going to be perfect because they are going to blend in with my Mossy Oak Obsession clothing for total concealment. When I am ready to shoot a bird, I will slip my glasses on my hat, aim and shoot. One of the things that I have come to appreciate with Costa glasses is the versatility of their frames and lens for all applications in the outdoors. 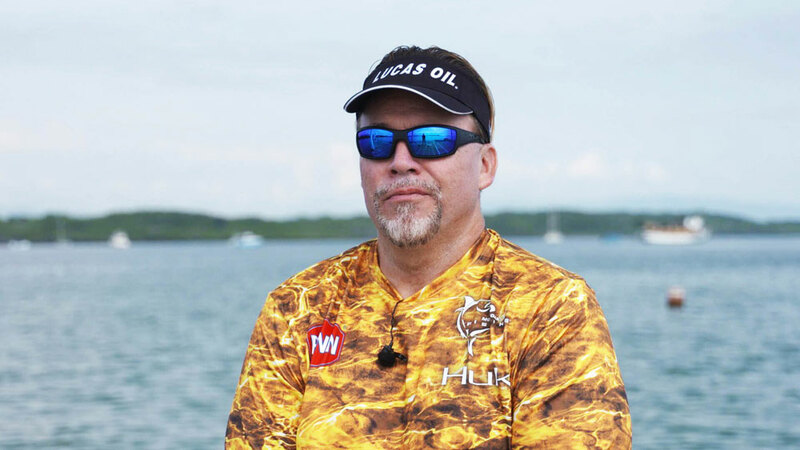 When it comes to being on the water, you will not see any of us without our Costas on based on how well they work for us. 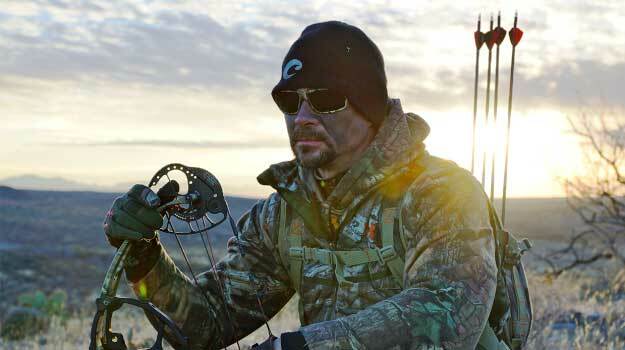 Now when it comes to hunting, you will always see me in my Mossy Oak Costa Fantails with Sunrise lens. Costa represents all of us who have a passion for the outdoors no matter if it’s on the water or in the mountains. They have a style of frames and lens to meet virtually any need you have for outdoors. To learn more about any of the Costa Del Mar frames in the Mossy Oak Shadow Grass Blades pattern go to www.CostaDelMar.com. I am often asked about the greatest moment I ever have had in the outdoors or the highest point in my outdoor career. People assume I’ll answer, “Winning the Bassmaster Classic,” or “Being named Angler of the Year on the Bassmaster circuit,” or “Taking a trophy buck.” But actually none of those great moments are my greatest outdoor moment. Enter to win a trip to fish for a day with Bassmaster Elite Pro Ott DeFoe on his home water in East Tennessee Saturday November 10, 2018. Grand prize includes airfare voucher and free lodging - plus $1,600 in new gear from BUFF, Mossy Oak Fishing, ONYX, Costa Sunglasses, and Rapala.